What if one of the main driving forces for evolution has been the changing level of oxygen in the Earth’s atmosphere? How could we find out? That is the fascinating way forward in this book. In the beginning of the book we get acquainted with different respiratory systems – different types of gills and lungs, that will naturally have an important part to play in this book as the author traces changes in the atmosphere’s oxygen content from about 540 million years ago to the present and even a little bit further while looking at how evolution has shaped life to be sustainable under different conditions. The reasoning behind it being that it is easier for animals to survive at high levels of oxygen and they wouldn’t develop any coping mechanisms or ways of using even more oxygen than they already use, but during low levels of oxygen animals have to evolve to adapt to the conditions. It is certainly a fascinating book (if me rating it 10/10 didn’t give a hint before), as it deals with different lifeforms that have had gills to lungs, from mollusks and fish to dinosaurs and birds. Very interesting, I’ll be reading it again at some point, it definitely makes one look differently at what might be some of the driving forces of evolution, and maybe even think of how it might end up totally different on a far-away Goldilocks planet…. And the book has dinosaurs, what else can you want? 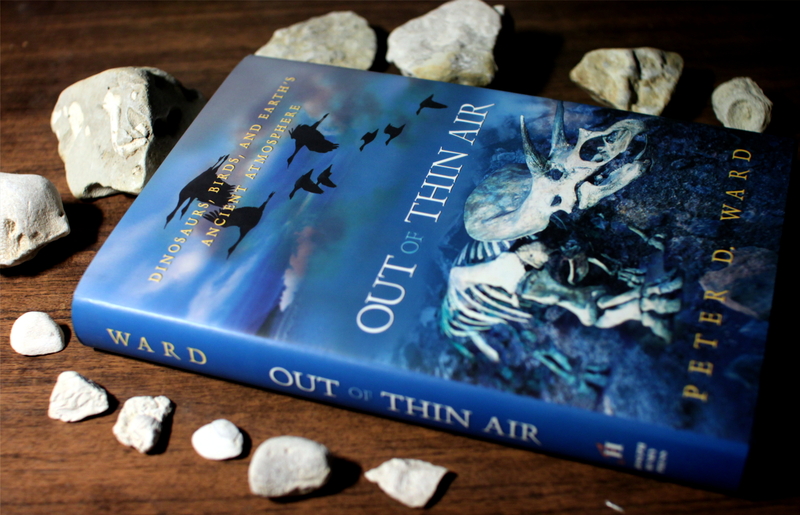 This entry was posted in Non-fiction and tagged book review, books, evolution, non-fiction, Out of Thin Air, paleontology, Peter D. Ward. Bookmark the permalink.